Location/ Directions: Take North MoPac Blvd. / Texas 1 - Loop exit from 183 and head north *****do not merge on to MoPac Blvd/Loop 1***** stay to the right on the service road. Stay on the service road of MoPac and go through two traffic lights. You will see the hotel on the right after the second light. About Hotel: 4-Floors, 69-Rooms, Interior Corridors, Free Breakfast, High-Speed Internet Access, Complimentary on-site parking, Pets not allowed, Smoke-free Hotel, Coffee/tea in-room, Housekeeping service daily, Laundry on-site, Newspaper in lobby, Air conditioning, Alarm clock, Coffee maker/tea service, Crib/Play Yard, Individual climate control, Iron / ironing board, Mini fridge in some rooms, Hair dryer, Color Cable/satellite TV, Microwave oven, Speakerphone with voice mail, Picnic area, Sundry/Convenience store, Property Exercise Room, Outdoor Pool. Railroad View: Expect a Poor to Fair View due to trees and betwwen the parking lot & the railroad track. High floor rooms would be the best choice to view passing trains. 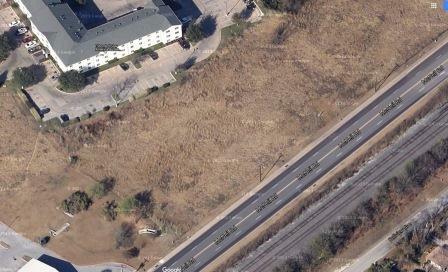 Photo Comment: An Aerial photo shows the Fairfield Inn located along the west side on the single track railroad. Location/ Directions: From I-35 North, take Exit 252A (McNeil Rd.) East (stay on Frontage Rd.). Travel approximately 1 mile. Extended Stay America will be on the right. From I-35 South, take Exit 252B (County Rte. 620) East. Travel approximately 1 mile. Follow Frontage Rd. and U-turn at McNeil Rd. to northbound Frontage Rd. Extended Stay America will be on the right. 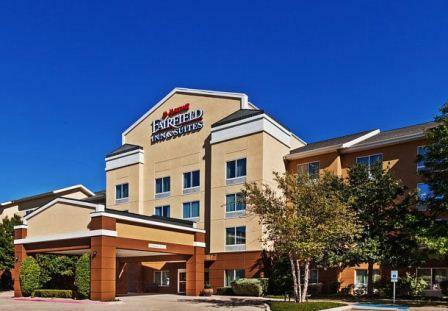 About Hotel: 3-Floors, 104-Rooms, Interior Corridors, Office Hours: 7 a.m. to 11 p.m. seven days a week, Fully equipped kitchen with refrigerator, stovetop, microwave, coffee maker, cooking utensils, dishes, and cutlery. Wireless internet access available in all rooms. 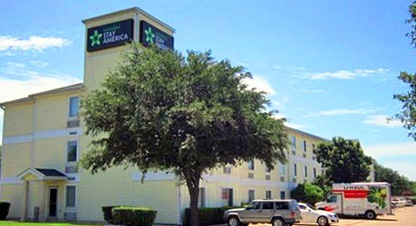 On-premise coin-operated laundry facility open 24 hours a day, Free breakfast, Flat screen tv, Pet friendly rooms, Pool, Free Wi-Fi. Railroad View: Excellent View! Clear view from south side rooms. High floor rooms will keep you above the parking lot. Railroads past Hotel: Union Pacific / Amtrak / Georgetown Railroad. Across from the motel is a single main track plus a siding used by UP & GRR for interchanging cars. Photo Comment: The Extended Stay can be seen to the upper left part of the aerial photo. The railroad runs along McNeil Road. The two tracks can be seen near the lower right corner of the photograph.